A Suisun City, Calif. man was taken into custody today on suspicion of sexual assault in Fairfield. On November 3, 2016 Fairfield Police received information regarding a sexual assault that had occurred in the vicinity of Courage Drive at approximately 4 a.m. The suspect was described as an African American male, 25-30 years of age, 6’ tall with a muscular build. Detectives from the Investigations Bureau took over the investigation and during the investigation it was learned that DNA evidence had been located and the suspect was identified as Khary Cook. 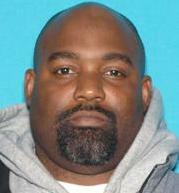 On March 7, 2017 detectives contacted Khary Cook, a 36 year old Suisun resident, at his parole agent’s office in Vallejo, Calif. taken into custody. Cook was booked into Solano County Jail on several sexual assault charges as well as being armed while in commission of a felony. Anyone with information about this crime is asked to contact the Fairfield Police Department’s Investigations Bureau at 707-428-7600. You can also call our Tip Line at 707-428-7345, Solano CrimeStoppers at 707-644-7867, or text “TIP FAIRFIELDPD” followed by your message to 888777. Callers and texters can remain anonymous.